Yamaha took him seriously. During the winter they developed not one, but two totally different motorcycles. If the OW 60 of Sheene, Crosby, and Fontan was an extrapolation of the OW 54 of the previous year, with its square-four engine and quadruple rotaty inlet valves, the OW 61 they developed for Kenny Roberts was completely new. It had a V4 engine with two rotary distributor valves in the angle of the V. The transverse mounting of the rear damper was a new idea; it was "nipped" between two bellcranks, which inspired the machine's nickname of "crab." road-holding was tricky, whose engine was too fierce, whose tires were unsuitable. At the end of the season, Suzuki again took the title, this time with Uncini, and Roberts was only fourth. 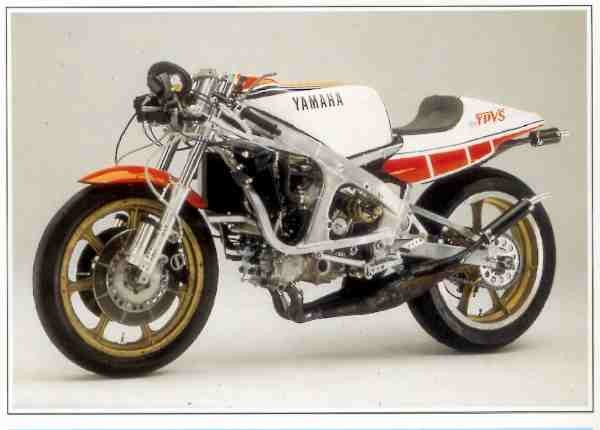 It wasn't until 1983 that he got the bike he really wanted, the OW 70. The OW 61 had a modest competition record but it was technically innovative in a category where the rule is evolution rather than revolution.